We’re back from Amsterdam. 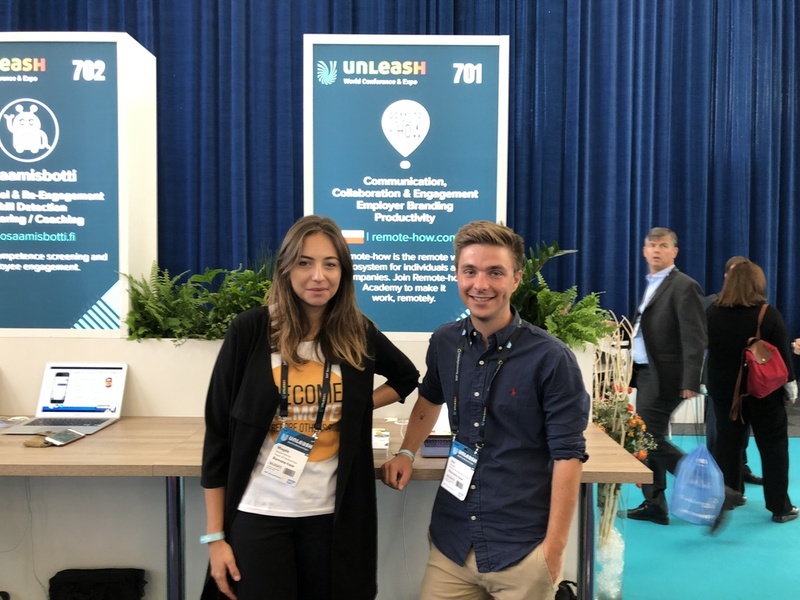 UNLEASH World Conference & Expo 2018 – gathering of world’s brightest minds in HR sector is over. Great ideas, exhibitors from all over the world and the best experts one can ask for. As we predicted, AI stole the show again. Finally, agility in the enterprise environment is becoming a thing. But problems of the remote workforce are still not in the sight of HR people. We barely could find any talks related to distributed teams. And while there’ve been many articles written and hundreds of reports published in the past few months – most of the organisations still haven’t developed any strategy to embrace this shift happening in the world of work. 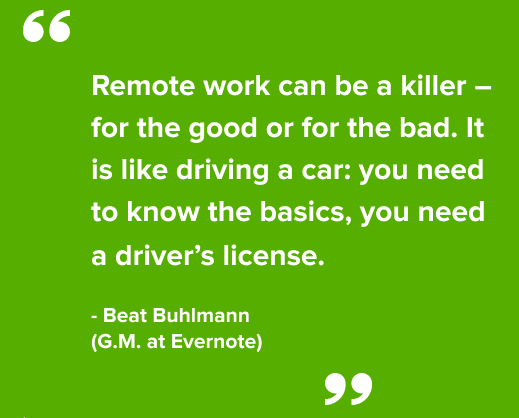 Because if you think about it carefully, nowadays everyone is remote. At least partially. Distributed teams are nothing new and home-office is already a popular practice. Not just for Tech Companies. When it comes to processes, operational rules and education within the organisations – we are still in a very early phase. Most of the companies just give their employees laptops and that’s it. There are also improvements needed in the area of remote work implementation, distributed team building, management, engagement – says our CEO, Iwo Szapar. Everyone is doing it, lot’s of people is talking about this, but just a few companies actually manage it on an organizational level. If remote is the future and flexible approach is a new way we make things done – how Fortune 500 companies can de-risk this “large-scale experiment” in terms of operations, security and general management of potentially thousands of (remote, partially-remote or full-time remote) employees onboard? Companies want their employees to work flexible hours – show insights from interviews of over 500+ CXO’s (Panda’s Remote Work Analysis 2018). Willingness is great to start with but there should be a specific plan of implementation in place. > How to overcome difficulties in communication, collaboration trust, and security? > Which software should we use? > How will we build a culture supporting remote workers? > How we standardize these practices and provide our employees with sufficient resources to grow their career and skills, even if they are thousands of miles away? > Finally, how we evaluate their progress and track their success? 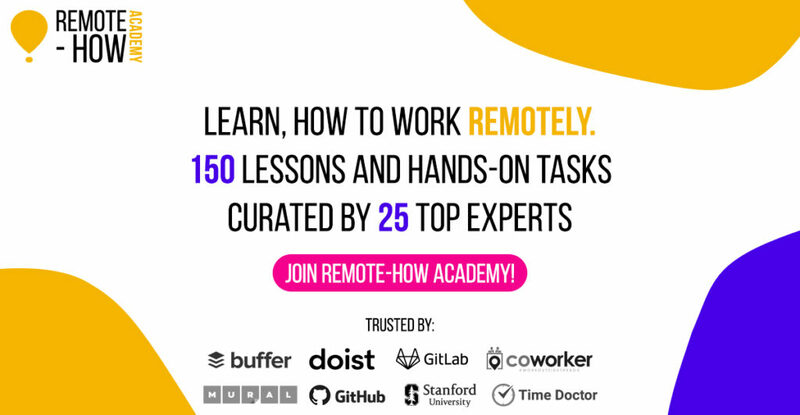 Over the last 6 months, we’ve worked closely with teams of Buffer, GitHub, Hays, authors from LinkedIn Learning and many others to develop ultimate resource hub for the remote workforce – Remote-how Academy. It is designed for (1) full-time remote professionals and freelancers across all industries and/or (2) companies transforming their operations into the more remote-friendly environment. We’ve covered topics like Skills Gap Analysis, Remote Communication, Time Management, Relationship Management, Job Search and more. Each block designed by global remote working pioneers.